I am not really asking you to cook something which requires five hours of your day – summer is not about dedicating all your free time to making dinner. As my ducks were roasting, I was mowing, running errands in town and yes taking a nap – all things which can make up a summer day. I served it all over simple greens tossed with toasted pine nuts and my favorite vinaigrette. This is one of those meals which the best part is left back on the buffet and worth revisiting, picking at that beautiful duck and crispy skin, dipping it in the plum sauce – so be sure you share this meal with guests who will do just that. Set the oven rack in the middle of the oven and preheat to 300 degrees. Remove the giblets and neck from the cavity, rinse the ducks with cold water inside and out and pat dry with a paper towel. 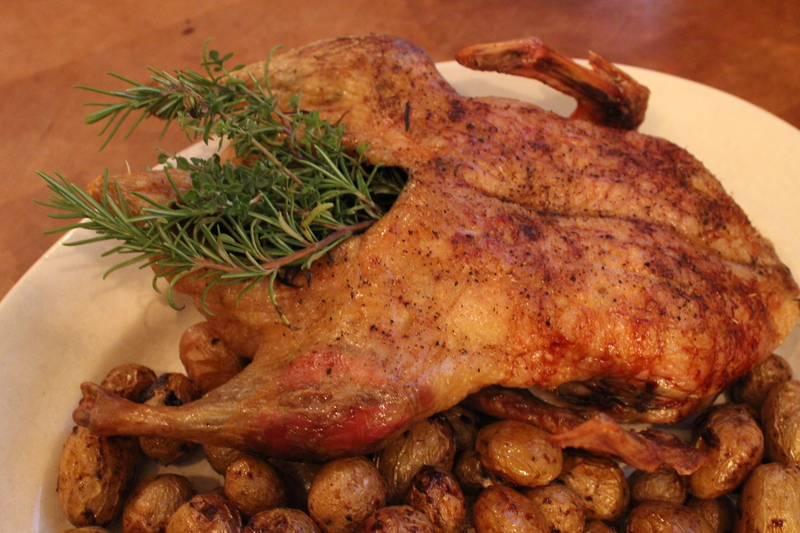 Pierce the duck skin and fat with a sharp knife – being careful not to cut into the flesh. Do this by inserting the knife on the diagonal, making several dozen slits. Stuff the cavities with half of the bunch of mixed herbs, reserve some for presentation. Place the ducks on a rack in a large roasting pan. Roast for the first two hours breast side up. After two hours, take the ducks out of the oven and flip them over and back in the oven for another two hours. On hour four, take the ducks out of the oven, and flip them back to breast side up and increase the temperature to 350 degrees and continue roasting for the last hour. At hour five take the ducks out and hold them on a platter at room temperature, remove the herbs from the cavities, they have done their job but they won’t look so great. In the duck fat in the roasting pan, add the little potatoes and toss to coat – salt and pepper to taste. Put the potatoes in the oven at 350 degrees for about 45 minutes and roast until tender. With a slotted spoon, put the potatoes on the platter with the ducks and put it in the oven which has been turned off, just to warm them back up. Just before serving stuff the cavities with the remaining fresh herbs. Slice, pull apart the ducks and crispy skin and serve on top of the dressed salad with the roasted potatoes and the five spice plum sauce. This sauce goes with everything.. 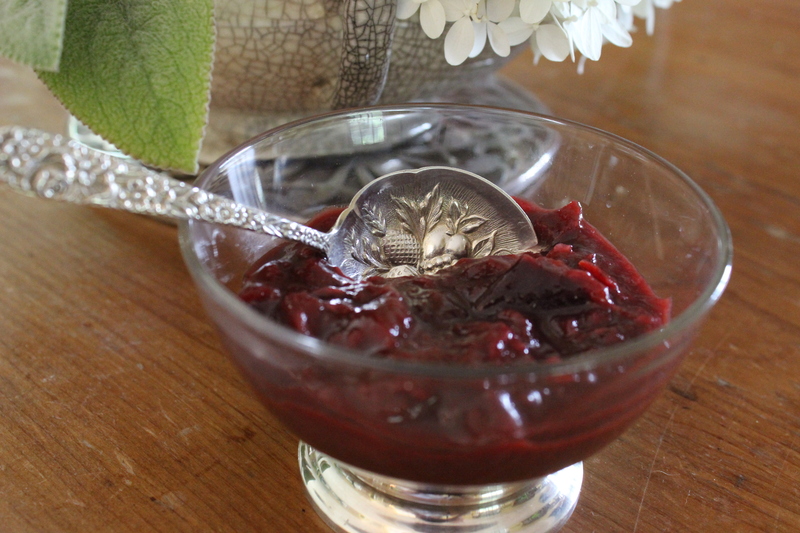 This sauce is so good with poultry, lamb, pork, eggs or cheese. 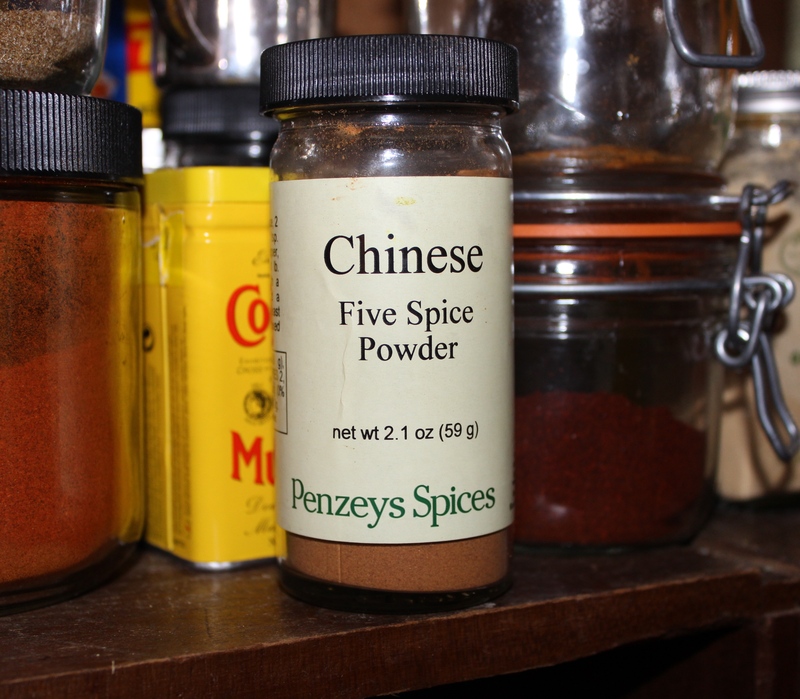 Five spice powder is a blend of cinnamon, star anise, anise seed, ginger and cloves. It is also a great addition to any Chinese inspired dish. You will have leftover sauce so put it to good use – for breakfast I made scrambled eggs and a few duck fat potatoes with a bit of this sauce. Delicious. Heat a sauté pan to medium high heat then add the oil. Sauté the onion until lightly brown, about 7-10 minutes, then add all the rest of the ingredients. 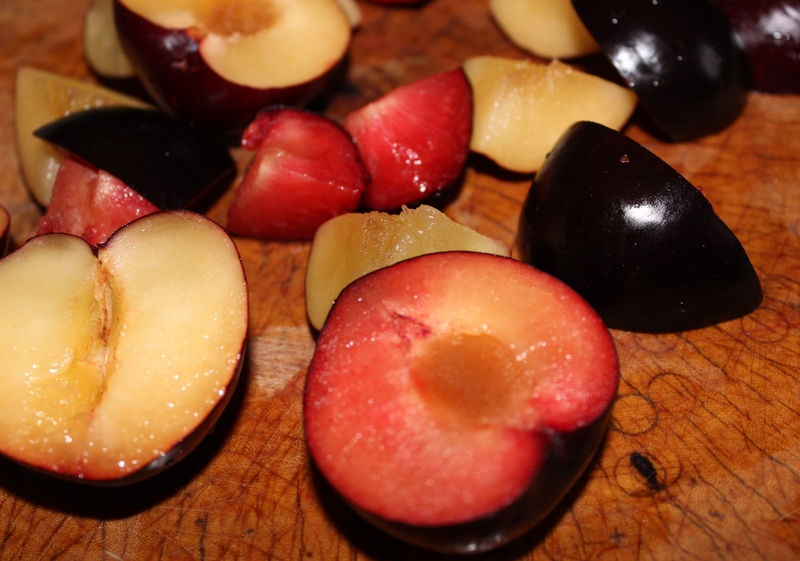 Reduce the heat and simmer until the plums are soft and the mixture is thickened about 15-20 minutes. Put into a bowl and allow to cool to room temperature. This sauce will keep well in the refrigerator. This salad dressing is so universal. By using avocado oil it will stay liquid when stored in the refrigerator. I always have a jar on hand. This entry was posted in Recipes and tagged Duck, duck fat, five spice, plum, plum sauce, Potatoes, sauces, vinaigrette. Bookmark the permalink.